Now's a fantastic time to get your new Dish TV package deal sorted as there are some great offers on right now with discounts available on every bundle's monthly fee. Plus there's a 2-year price guarantee, so you won't get hit with any sneaky price rises. Actually, if you're really quick you may be able to take advantage of the latest offers, that in addition to reduction on the monthly fees, now free premium channels for three months along with a free DVR and voice remote. Demand for Dish TV in the USA is huge all year round and we're here to keep you up-to-date with the latest prices. Dish network packages vary greatly in both price and content. We'll tell you what you're getting in each of the Dish packages to choose from and how much it will all cost, so you can make the most informed buying decision. There's no hard sell, no pressure, just the bare facts of what you can get for your money. When there's a special promotion on a Dish network package, we'll list it below and compare it to the previous price to make it as clear as possible. So, let's take a deeper look at the latest prices on the Dish network. To save some space when we tell you what you get on each of the individual Dish TV packages we'll list what you get on all of them right here. That'll hopefully make it easier trying to pick out the differences between the different tiers when you head on over to Dish's website after checking out our descriptions. Use voucher code: PPVEXCLUSIVE. This voucher code allows you to choose 12 free movies to rent at your leisure. 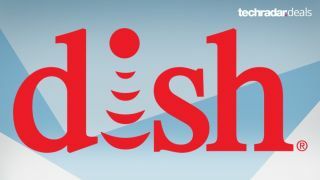 Dish is boasting a selection that features new movies sooner than they appear on rival services. Once you choose a film, you have 24 hours to watch it. The best budget option. This is the cheapest package Dish have on its network and by some distance as $10 has been knocked off the old monthly fee. It comes with 190 channels including the likes of Fox, NBC, CMT, Disney, ESPN, E!, USA - all the ones you'd expect to get really. Currently includes 15 premium channel for three months too. Order via the links or call the toll-free at: 1-866-291-0533. The best for college sport. This Dish network deal includes the best channels from the Top 120, plus a fine selection of sports (college sports especially), ESPN and the NFL, Big Ten, SEC, Pac-12 and Longhorn networks. Currently includes 15 premium channel for three months too. The best for all sports and more. Okay, we're talking all the key sports options here. You're getting the MLB, NBA, NHL networks, and the Golf Channel on top of the college sport channels in the Top 120+ package mentioned earlier. It's not all about a sports upgrade though as you're also getting Bravo, A&E, Hallmark, Disney XD and Sundance. Currently includes 15 premium channel for three months too. For movie and sport fans. This is a huge Dish network deal packed with a fantastic range of sports and movie options. In addition to all the sports mentioned in the previous Dish deal, this one boasts excellent movie/TV options like TCM, The Movie Channel, Starz Encore, Nat Geo Wild, Nicktoons, and many more. Currently includes 15 premium channel for three months too. What TV channels do I get on the Dish network? There's a handy comparison chart over on Dish's website that shows you which channels are on each of the individual TV packages so you can choose the one that fits your home's requirements best. If you've considered the above deals and had a look around the Dish website to get an idea of what's available, but you're still not sure which Dish TV package is right for you, more help is available. The Dish network has been ranked number 1 for customer service by its customers and JD Power, so if you'd like to speak to them to arrange the best deal for you, give them a call on this toll-free number 1-866-291-0533.